"What's not to love about me?" Scamp is full of himself. He has an ego that rivals that of Skylynx and is always quick to gloat about his accomplishments. One thing that bothers his comrades most is that he has the skill and ability to back up his boasts. This stems from the fact that he used to be a very simplistic seeker and was always trying to prove himself. After a battle with the Autobots, he and several other Decepticons were severely damaged and believed to be dead by his fellow Decepticons. Like his friend Drill Master, Scamp was abducted and had his body rebuilt after a he nearly died in a battle with the Autobots. He soon awoke with heavy upgrades to his system, body, and confidence level. While Scamp may be very egotistical, he is very reasonable and convincing especially when it comes to having others see things his way. Such was the case with getting Drill Master to leave the Decepticons with him. On the battlefield, Scamp lets his ego show full force as he takes down his enemies. In robot mode he carries two photon-pistols, and can call forth a triple-thick armored shield (typically stored in an undisclosed location). Scamp can use both with incredible efficiency largely due to his fast reflexes. 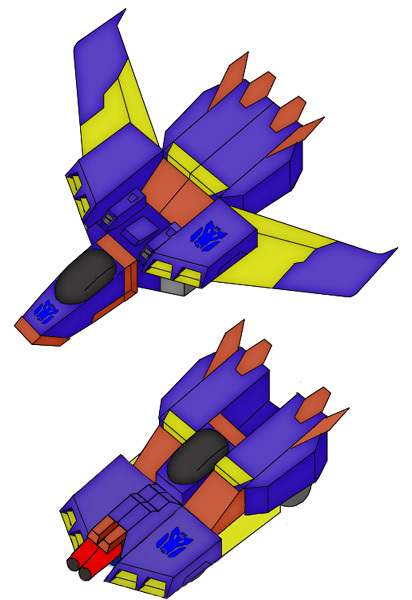 In jet mode he has amazing maneuverability and speed despite his bulky design. His car mode is the same way. The main difference is it gives him the ability to continue travel at high speeds on the ground where his wing span would get in the way. Scamp also forms the left leg of Razer. 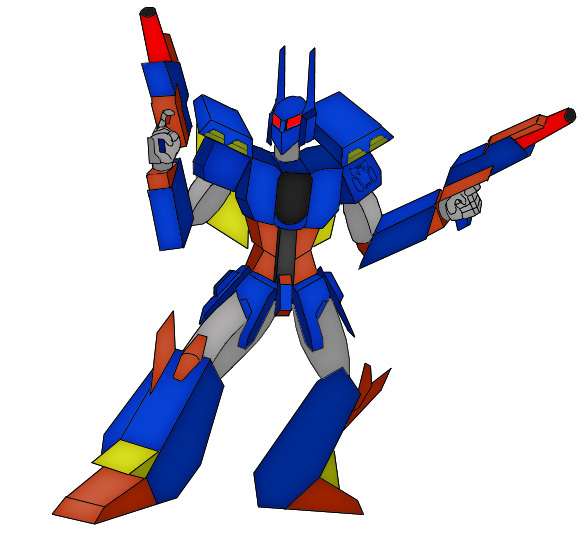 Scamp joined LONAC because he possessed long time feelings and beliefs that the war between the Autobots and Decepticons was a hopeless and endless battle. He can't remember exactly why he was motivated to finally act on his feelings about leaving the Decepticons for a higher purpose, but he does know that LONAC is the best place for him to be. Besides, it gave him the opportunity he wanted to concentrate on his own interests.